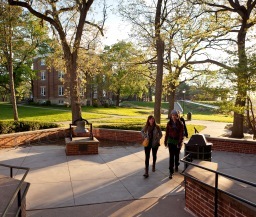 Beloit College is a four-year, independent, national college of liberal arts and sciences in southern Wisconsin. Students can expect to receive a premium education from scholars who put teaching first and involve students as much as possible in hands-on research. 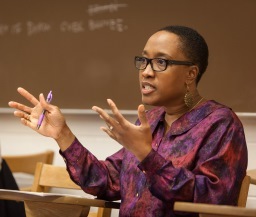 Small class sizes often result in professors becoming influential mentors, who empower their students to discover what they love to do and put into practice their newfound skills and knowledge to make a remarkable difference in the world. The result is that by the time Beloiters graduate, they haven't just accrued a transcript; they've compiled a strong resume that demonstrates an ability to think critically and creatively, communicate clearly, and collaborate effectively with diverse groups of people. 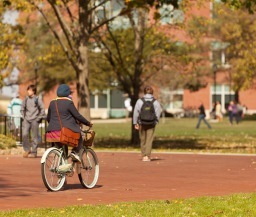 Beloit's 1,350 students come from nearly every state and more than 40 countries. With an incredible breadth of opportunities, a historic campus with modern facilities, a nationally recognized faculty, and creative, motivated students, Beloit is truly a "college that changes lives." 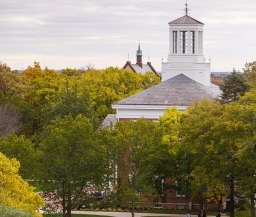 Founded in 1846 on the Midwestern frontier, Beloit is Wisconsin's first college. Beloit adheres to a holistic admissions process and aims to get a complete picture of who an applicant is as a person and not just as a prospective student. The committee looks closely at grades and academic history, but also looks for other qualities that indicate students would do well at Beloit, such as strong leadership abilities and unique talents. Overall, the college encourages applicants who are interested in getting involved in the campus community and who will leverage their Beloit educations to effect remarkable change in the world. Review of transfer applications for the fall term begins July 15 and continues through the spring; the deadline for the spring term is December 15. Notification for transfer applications is rolling. Beloit offers a variety of programs that supplement and complement its curriculum. The Initiatives program is designed to support students through their first four semesters of college. The program kicks off during New Student Days, a weeklong orientation that introduces students both to the Beloit College campus and community and to Beloit's distinctive approach to the liberal arts. 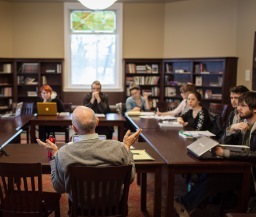 First-year students participate in their first course: an interdisciplinary seminar called an "FYI," and then, the student's professor also becomes their advisor for the next three semesters. Through the Initiatives program, students also become eligible to apply for Venture Grants at the end of their sophomore year. These grants allow students to pursue intellectually challenging activities that are self-testing or will benefit others and the campus community. Advising Practicum, a full-day series of workshops and discussions held every semester before advising week, is designed to help students reflect on Beloit's educational opportunities and develop an academic plan tailored to individual interests and goals. 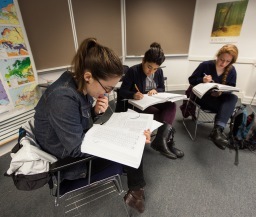 In the summer, the Center for Language Studies offers intensive summer language instruction in Chinese, Japanese, and Russian. The anthropology field training program has taken students to excavation sites from Colorado to Chile, and geology field expeditions include trips to Iceland, New Zealand, and Scotland. Each spring, students present their research at a conference-style Student Symposium event, and in the fall, International Symposium Day is a forum set aside for students to present research and projects they have conducted abroad. Beloit students serve on the editorial board of the Beloit Fiction Journal. 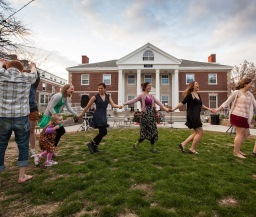 Each year, the college brings as many as six groundbreaking scholars and artists to campus, who join the community for an extended stay as part of a distinguished residency program. Beloit offers undergraduate degree programs exclusively and confers bachelor of arts and bachelor of science degrees. There are more than 50 fields of study in 31 departments. Fields of study (and possible major concentrations) include: anthropology, art and art history (art history; studio art), biochemistry, biology (ecology, evolution, and behavioral; environmental; molecular, cellular, and integrative), chemistry (applied; biological; environmental), classics (classical civilization; classical philology), cognitive science, comparative literature, computer science, critical identity studies, economics (international political economy; business economics), education and youth studies (Children and schools; Adolescents and schools; Youth and society), English (literary studies; creative writing), engineering program, environmental studies (environmental communication and arts; environmental justice and citizenship), geology (environmental), health and society, history, interdisciplinary studies (self-designed), international relations, mathematics, modern languages and literatures (Chinese language and culture; French; Japanese language and culture; modern languages; Russian; Spanish), music, philosophy, physics and astronomy, political science, psychology, religious studies, sociology, and theatre, dance and media studies (dance; media studies; performance; production). Teacher Certification (BA, BS): Children and schools (middle childhood/early adolescence, grades 1-8); Adolescents and schools (early adolescence/adolescence, grades 6-12); Art education (early childhood-adolescence, ages birth-21). Minors: African studies, anthropology, art and art history (art history; studio art), Asian studies, biology, chemistry, classical civilization, cognitive science, computer science, critical identity studies, English, environmental studies, European studies, geology, health & society, history, interdisciplinary studies, journalism, Latin American and Caribbean studies, Law and Justice , mathematics, medieval studies, modern languages (Chinese; French; German studies; Japanese; Russian; Spanish), museum studies, music, philosophy, physics, political science, religious studies, Russian studies, and theatre, dance and media studies (dance; theatre performance; theatre production). Pre-professional programs: Engineering programs (3-2 and 4-2); environmental management and forestry program; pre-law preparation; and pre-health professions preparation. Beloit allows students to explore all outlets of opportunity during their college career via the liberal arts curriculum structure, and the school itself “provides endless opportunities.” The school has a three-story, storefront student business incubator located downtown, and there are a “vast amount of internship and community involvement opportunities” and funding to match, which is part of the reason why more than ninety-three percent of Beloit students are employed or in graduate school within six months of graduation. Beloit is about “taking the idea of a liberal arts education and transferring it into a fun and usable state for modern society.” According to Beloit alumni visiting PayScale.com, sixty-one percent report that they derive a high level of meaning from their jobs. Beloit College is committed to making the Beloit experience affordable for all admitted students. During the 2016-2017 academic year, 98% of enrolling first-year students received Beloit gift aid. The average financial aid award (including federal loans and work study) was $36,857. Full tuition at Beloit costs $49,564 for the academic year. Housing costs an additional $5,030, and a full meal plan runs $3,800 (this plan is required for all first year students). In addition, there's also a $280 student activity fee, and a $196 health and wellness charge. Families can expect to pay another $1,502 in estimated health insurance costs. Books and supplies often run around $1,000. Finally, it is recommended that students set aside another $1,300 for personal expenses. Beloit students are remarkably unique, passionate, and involved. They do what needs doing, change what needs changing, and create what needs creating. Students serve on college governance and search committees, establish their own organizations, orchestrate events such as the annual Folk 'n' Blues music festival, and host their own radio and cable TV shows. The college has more than 60 active student clubs ranging in focus from ballroom dance to ultimate frisbee to yoga. 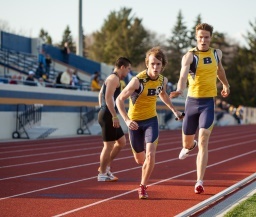 An NCAA Division III school, Beloit competes in the Midwest Conference and has 19 varsity teams. Men's varsity teams include: baseball, basketball, cross country, football, lacrosse, soccer, swimming and diving, and track and field. 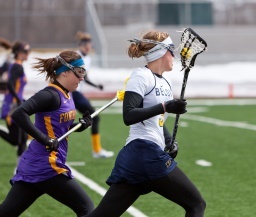 Women's varsity teams include: basketball, cross country, lacrosse, soccer, softball, swimming and diving, tennis, track and field, and volleyball. Beloit's 40-acre campus is just across the Wisconsin-Illinois state line and is conveniently located just a short drive from three major cities: Chicago (90 miles northwest), Madison (50 miles south), and Milwaukee (70 miles southwest). 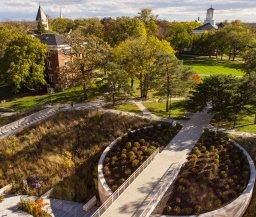 Beloit's academic buildings are clustered around lawns dotted with trees and twenty ancient North American Indian mounds. 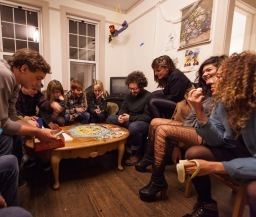 Most students live on campus, as Beloit is a residential college that requires students to live in college-operated residence facilities for at least six semesters of full-time enrollment. Beloiters have a variety of housing options to choose from, including traditional residence halls, fraternities (3) and sororities (3), apartments, and special interest houses. All residences halls are within easy walking distance of classrooms, studio locations, and the college's athletic facilities. Banks, restaurants, and shops can be found within a short walking distance, in downtown Beloit just two blocks from campus. 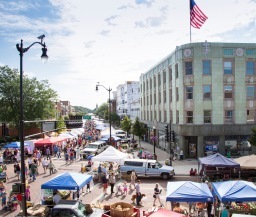 On Saturdays from May through October, students like to attend the region's most popular farmers' market. For ten days each winter, students, local residents, and visitors flock to the Beloit Film Festival (BIFF), where more than 100 films are screened in downtown venues. Year-round, active students venture to one of several nearby parks to exercise, or when it's warm, to listen to outdoor concerts. Beloit's academic buildings are both historic and cutting edge and are located toward the southern half of campus. Particularly noteworthy are Beloit's two on-campus teaching museums. The Logan Museum of Anthropology houses approximately 15,000 ethnographic—and over 200,000 archaeological objects— from 129 countries and more than 600 cultural groups. The Wright Museum holds approximately 6,000 works of art in its permanent collection. Significant collections include American Impressionism, Modernist paintings, a collection of 19th century plaster casts, German Expressionism, and Japanese Modern prints. Both museums offer students professional opportunities to conduct real museum work in collaboration with faculty and staff. The Laura Aldrich Neese Performing Arts theatre complex features a large thrust stage theater built to Equity standards, a black box theater with flexible staging, a scenic design studio, costume shop, makeup rooms, dressing rooms, and a greenroom. 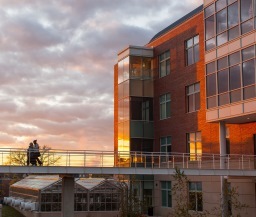 The recently named Marjorie and James Sanger Center for the Sciences is a platinum LEED-certified green building that houses the Biology, Chemistry, Geology, Math and Computer Science, Physics, and Psychology departments. Besides its spectacular four-story open foyer, roof garden, and rain garden, the Center features student offices and space for studio format and inquiry-based courses that integrate class, laboratory, and collaborative group work. Special facilities include a visualization lab, a 1,900 square-foot greenhouse with three climate zones, a herbarium, and a rooftop small-telescope astronomy area. Off-campus facilities include Chamberlin Springs, 50 acres of oak and hickory woods and wildlife northwest of the city; the Smith Limnology Lab, a small boat launch and aquatic station on the Rock River; and Newark Road Prairie State Natural Area, a 32.5 acre virgin prairie with more than 300 species of flowering plants. Several campus buildings are within walking distance downtown: the Hendricks Center for the Arts, a performing arts center; Turtle Creek, the Beloit College bookstore; and The Center for Entrepreneurship in Liberal Education (CELEB), a newly renovated laboratory for entrepreneurship education. Six blocks east of campus, sports fans can head to Strong Stadium Complex and watch the competition from the 3,000-seat stands; the stadium is home to the football, baseball, tennis, softball, and soccer teams. Back on campus, the entire student body can exercise in the Sports Center, which features two racquetball courts, a weight and training room, three full-sized basketball courts, and a six-lane, 25 yard pool. Currently, the college is in the process of converting a decommissioned powerhouse, located next to campus along the nearby Rock River, into a new student union and recreation center. This one-of-a-kind reimagining of an industrial building will feature student life spaces, conference rooms, fitness and training facilities, an indoor track, a competition pool, and a wellness center. Funded entirely by donations and grant money (no student tuition dollars), the Powerhouse will officially open for campus and community use in fall 2019. Each year, roughly 140-160 Beloiters choose to study abroad for one or two semesters and travel to more than 40 countries to do so. Students study worldwide through a combination of college programs, offerings by other institutions and partners, and direct enrollment in universities. Domestic off-campus study programs are also robust. Current North American programs open to Beloit College students are: a semester in environmental science at the Marine Biological Laboratory in Woods Hole, MA; public affairs programs at American University in Washington, D.C.; an arts, entrepreneurship, and urban studies program in Chicago, IL; the Newberry Seminar in Chicago, IL; and the Oak Ridge Science Semester at the Oak Ridge National Laboratory near Knoxville, TN. The college also offers Cities in Transitions courses, which provide opportunities for students to strengthen their language skills and pursue independent study projects in China, Ecuador, Germany, Japan, Russia, and Senegal. Beloit's Liberal Arts in Practice Center is a great resource for students, providing them with as much as $400,000 in student project funding annually. Joy de Leon, Ed.D., L.C.P.C. Information from an appropriate professional which indicates the impact of the LD on this student. Information from an appropriate professional which indicates the impact of the ADHD on this student. Beloit College is certainly a leader within the sustainability movement And the school’s commitment to going green has never been stronger. For starters, Beloit operates the Sustainability Project Fund, which provides initial capital to environmentally friendly ventures. The proposed projects must also generate income or savings, a portion of which is then used to repay the original loan. The Fund allows students and faculty to implement policies and programs, which would otherwise be prohibited due to cost. Of course, the institution as a whole is also making an effort to be environmentally friendly. For example, several years ago the dining halls decided to go tray-less. This has resulted in a 35 percent reduction in waste. Additionally, they use locally sourced food and produce from the college vegetable garden whenever possible. Even better, two of the campus dining options have made the jump to biodegradable plates and utensils. Fortunately, there’s also plenty of action taking place beyond the kitchen. The new Science Center is LEED Platinum-certified, an honor bestowed upon only two other buildings in the state of Wisconsin. Further, any new campus landscaping is designed to emphasize local and historical ecosystems. The college uses vegetated low spots, called bioswales, to collect and retain storm-water runoff. Moreover, housekeepers are given environmentally friendly products to use. Finally, Beloit is extremely proud of its healthy and effective recycling program. Students and faculty alike have managed to recycle 76 tons of material (including paper, plastic, cans and glass). And an amazing 32 tons of yard waste was composted. These Buccaneers deserve a round of applause! Other popular spaces include the Poetry Garden, the Java Joint, Morse Library, the Sports Center, Pearsons Hall, and Strong Stadium. Downtown Beloit is within easy walking distance of the college and hosts growing and vibrant local establishments including the college's Hendricks Center for the Performing Arts, bookstore, and center for entrepreneurship; a bagel/coffee house; and several restaurants. O'Hare International Airport in Chicago is 75 miles from campus; the Van Galder Bus Company (608-752-5407 or http://www.vangalderbus.com/) runs hourly shuttles from the airport to Beloit. Bus directions are available at the provided URL. I-43, I-90, US Rtes. 14 and 51, and Rtes. 2, 75, 81, and 251 lead to Beloit. Signs posted on all major highways through the town will direct visitors to campus. The College has 3 guest apartments on campus in a historic home. All the apartments have kitchens, although you may also use dining facilities on campus. The price is incredibly inexpensive. Call the Admissions Office at 800-356-0751 or 608-363-2500 to check on availability. Within walking distance of campus is The Ironworks IHotel (500 Pleasant St.; 608-362-5500). Amenities include newspaper, executive fitness center, limo and airport pick-up service, business center, laundry/dry cleaning pick up and delivery, on-site wine storage, personal cigar humidor in the lounge, and meeting and catering services. Also, several hotels are within 2 to 3 miles from campus. A full-service Holiday Inn (200 Dearborn St.; 815-389-3481) offers special rates to visitors of the College, Hampton Inn (2700 Cranston Rd. ; 608-362-6000) and the Holiday Inn Express (2790 Milwaukee Rd. ; 608-365-6000). For other lodging options, call the Admissions Office at 800-923-5648 or go to the Visit Beloit website at www.visitbeloit.com/.